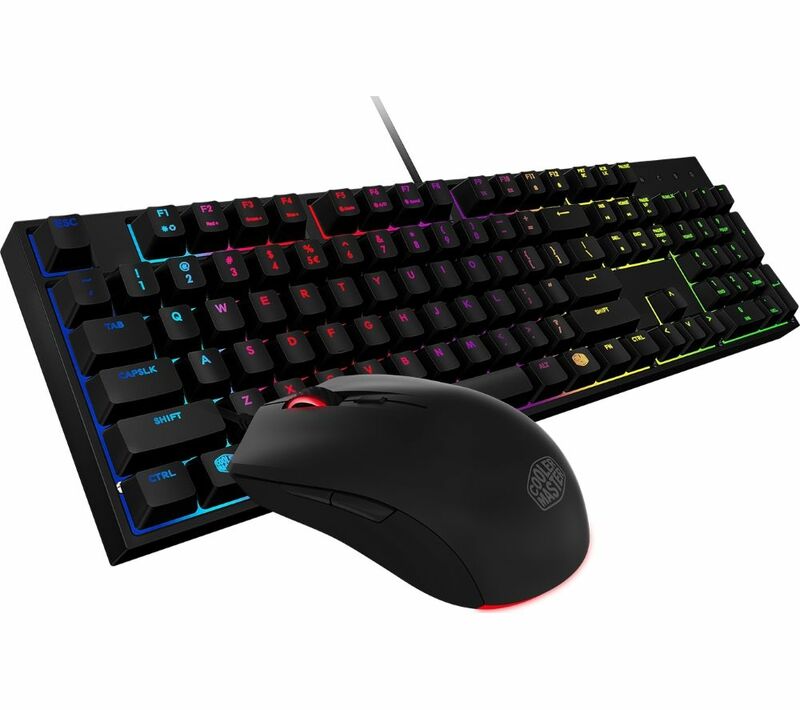 Get two matching peripherals to take your gaming up a notch with the Cooler Master Masterkeys Lite L Gaming Keyboard & Mouse Set. With matching RGB lighting colours and effects, it's never been easier to get perfectly synced peripherals, so you can play your best and look great while you do it. No matter how fast you have to type in your commands in the heat of battle, with 26-key anti-ghosting you can be sure they'll be detected correctly. The exclusive "mem-chanical" switches give the durability and satisfying feel of a mechancial keyboard, with a longer key lifespan. 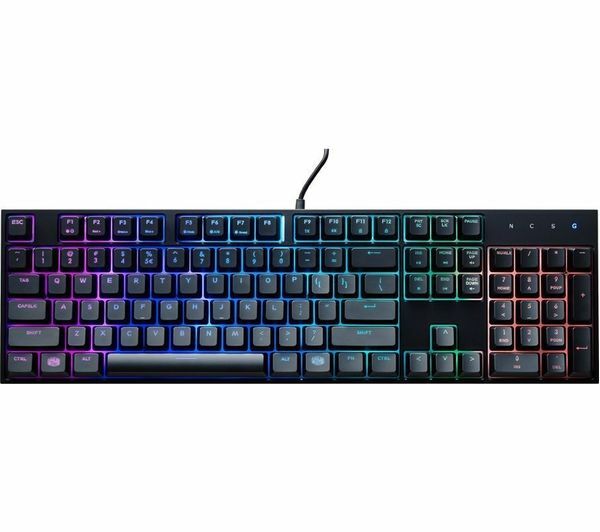 The keys can be customised and upgraded with other CHERRY MX keycaps, and with dedicated media keys, it's quick and easy to change lighting modes if you want to switch it up in the middle of a game without stopping. The Masterkeys Lite L Gaming Keyboard is also water resistant, so you wont have to panic if you knock your drink over. 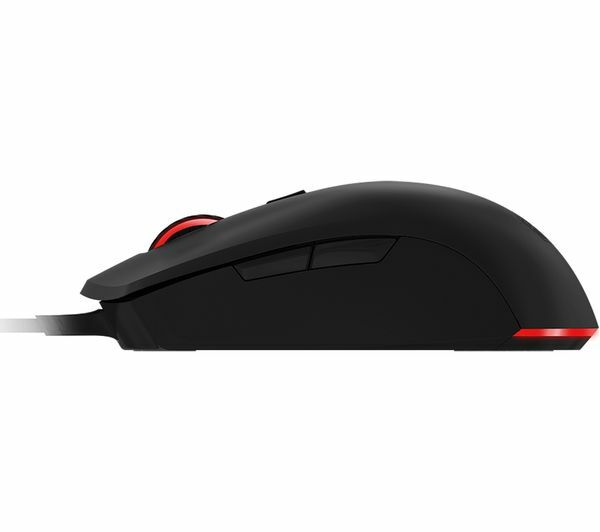 With a stable Avago 3050 optical sensor, the Masterkeys Lite L Gaming Mouse is reactive and reliable on any surface. With two thumb buttons and four DPI levels up to 3500 DPI, you can adapt the mouse for every task, from gaming to editing photos and working on projects. There's also an LED indicator that changes colour depending on your DPI level, so it's easy to keep track of what you've set it to.